Beat eggs, oil and sugar until creamy. Add zest and juice of lemon. Fold in dry ingredients. Pour into small cake tins. Bake at 180c for 20 minutes. Allow to cool and dust with icing sugar. 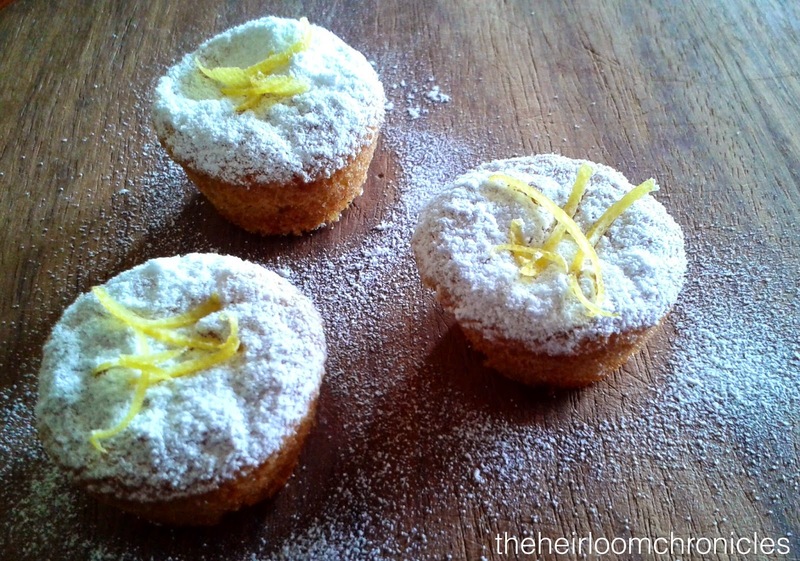 Decorate with fresh lemon rind. 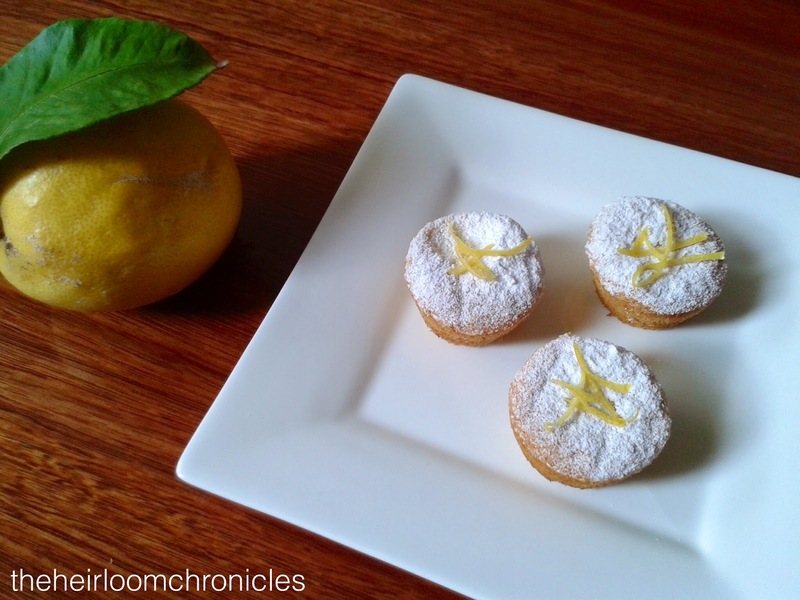 If you like more tang you can make a lemon curd and fill them! 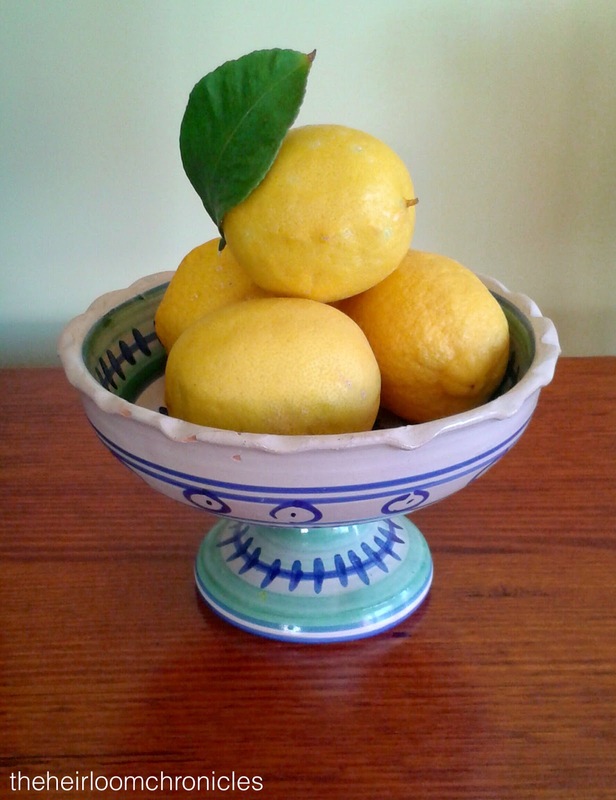 Squeeze the juice from the lemons and cut the rinds into thin strips. Put the lemon juice, lemon rinds, butter, sugar and eggs into the top of a double sauce pan. Place over very hot (not boiling) water and cook, stirring constantly, until the butter has melted and the sugar dissolved. Pour the mixture through a strainer and discard the rind.